With a background in design and marketing, I specialize in experiential design, concept development, visual direction, and event design and production. My creative services also include launch strategy, cultural programming, and partnership curation. To start from the beginning, I always loved art as a kid. I went to RISD for college to study industrial design, but was particularly drawn to furniture; I got really into making chairs. 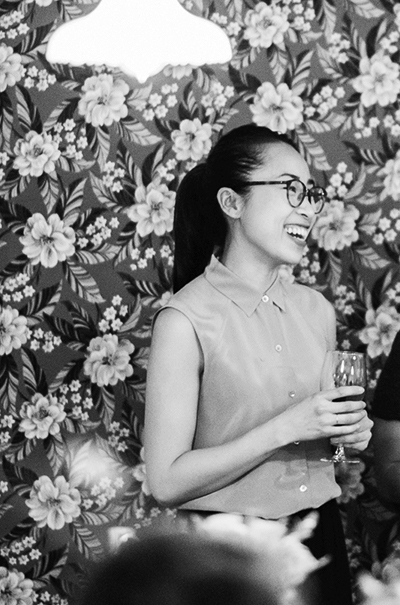 As an adult I moved to New York City and started my career exploring the world of events — deepening my passion for where space, people, and objects come together — and started hosting my own events and gatherings with Ogc NY, using concept dinners as a way to bring my friends together and to build a portfolio, of sorts, for myself. Later, I worked with the team at Vitsœ to design interior spaces and events to amplify the ethos of good, timeless design. 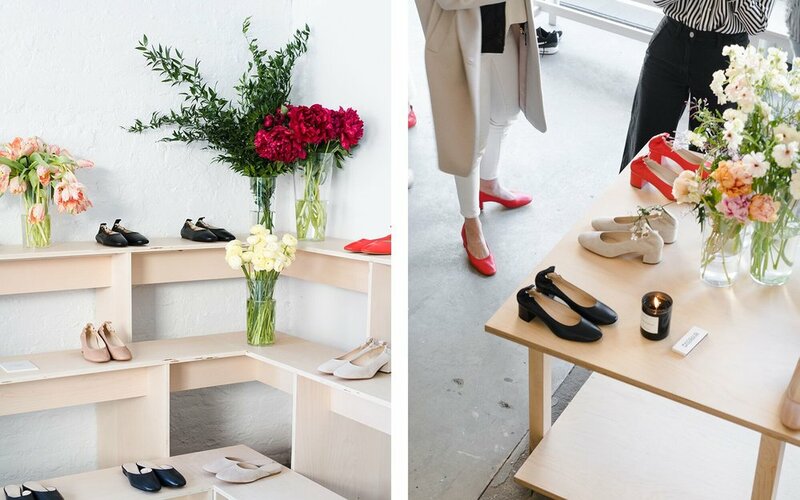 And most recently, I had the privilege of building the brand at Everlane, creating retail concepts, marketing experiences, and brand strategies through the lens of radical, and accessible, transparency. It turns out that the common thread through these varied work places and projects — interiors, events, products, and marketing — is experiential design. It also turns out that there’s a lot more to creating an experience than just those two words, and I love that. So with my recent move to Los Angeles, I’ve decided to offer all of these creative services in one place, and to make the creation of experiences my singular focus. And here we are. How do you stand out in your field?? Concept always comes first. The strength of concept, context, and art for storytelling are the foundation of a great experience — these will carry through the whole design, from the overall visual direction, to how people flow through a space, down to the smallest design details. I always make sure I spend time on building a really solid concept and narrative, and the experience can unfold from there. Creatively, I’m also exploring a few pursuits that have been on the back burner for years. I’ve been incubating a furniture/objects collection in my mind but have not felt ready to put pen to paper. Now feels like the right time to materialize these ideas, with the physical and mental space here to help me do it. I would say my design perspective is ‘considered’. Stylistically, this can take many forms depending always on the context. My style and taste on spaces and objects generally leans towards minimal and warm, but if the project concept requires more maximalist touchpoints, for example, then that's something I would consider in the design. Conceptually and strategically, I would say this means that whatever I design must always be essential, intentional, for the project at hand. Hospitality. This is the ultimate industry for experience design — the end goal (for the visitor at least) is delight; magic. How much fun is that! My dream would be to concept, design, brand, and open a hotel one day. Self-promotion. While I’ve worked on building awareness around other brands for years, I've focused much less on this for myself. I've decided to work on this starting with Instagram, a social space on which I am constantly consuming but rarely outputting, as a platform to create, share, and promote more of my content and perspective. Research — help with pulling references around design and cultural happenings, past and present. There is so much to continue to learn from the historical and cultural context around objects and spaces. So many things. Initial thoughts… architectural history, technical aspects of lighting design, natural wine. Brand activations. Concept shops. Events, installations, dinners, or gatherings of all kinds. I’m looking to create experiences for ambitious brands that are looking to tell stories, sell products, and engage community through moments that are temporary, permanent, large or small. Whether you are launching a new product or an entire brand, selling things or celebrating something, I can help you bring these moments to life through physical experience, creative strategy, and thoughtful design. An ideal project would be anything Faye Toogood would do — experiential, conceptual, design- and narrative-driven. I think hybrid-spaces, like experiences at the intersection of retail, events, and hospitality, are also so interesting, especially now. I also love to throw a good dinner party. I generally prefer project based fees. Once the project has been initially discussed, I’ll put together a proposal with an outlined scope of work, project phases, and deliverables per each phase for the client’s review. I find this helps with alignment early on in terms of project expectations — in other words, you’ll know what you’ll be getting for what you’re paying. Of course, every project is different and in some cases an hourly/day rate or monthly retainer may make more sense and would be discussed. Send a note to hello@stephanietam.com with some context around your project and your brand. Then let’s find a time to hop on the phone or chat over coffee. By not forgetting the end goal. This member profile was originally published in May 2018.